Tree climbing is a job best left to the professionals. Trimming and pruning large trees can be risky. It takes the right training and gear to safely and effectively climb trees. Hunter's Tree Service provides professional tree climbing services to clients in Lake Tapps, WA and the surrounding areas. 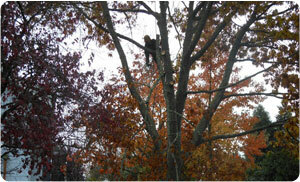 Our tree climbing services can address all your tree care needs. Safety is our number one priority. Our tree climbing services are designed to prevent any damage to your surrounding. 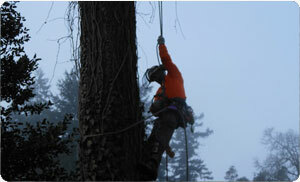 We employ the latest and the safest techniques for all our tree climbing jobs in Lake Tapps. Pruning large trees can help to significantly reduce damage occurring from storms. Pruning large trees is also beneficial in improving the aesthetics of a tree. It is important to choose a tree care company that is trained in the art and science of pruning large trees. 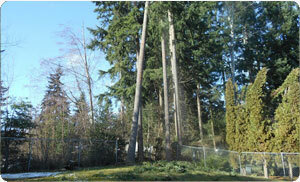 We are happy to help you with pruning large trees in Lake Tapps. We have the skills and knowledge necessary for properly pruning large trees. Why Choose Us for Trimming Tall Trees in Lake Tapps? Although DIY tree trimming may sound tempting, it takes a lot of time and effort. In addition, trimming tall trees can be tricky - not to mention dangerous. If you are wondering how to cut tree limbs that are too high to reach, give us a call. We specialize in trimming tall trees. Our arborists have been expertly trimming tall trees for years. By trimming tall trees on your Lake Tapps property, we can help you keep your yard looking neat and inviting. If you have any questions about our tree climbing services for Lake Tapps homes and commercial properties, please do not hesitate to call Hunter's Tree Service at (253) 777-1938.